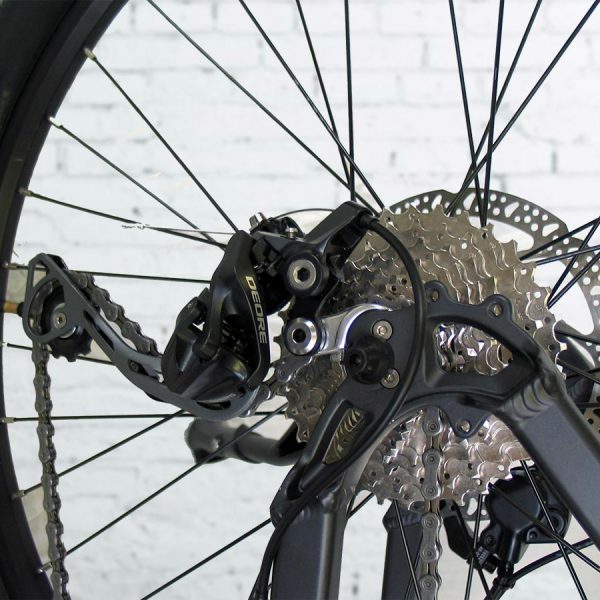 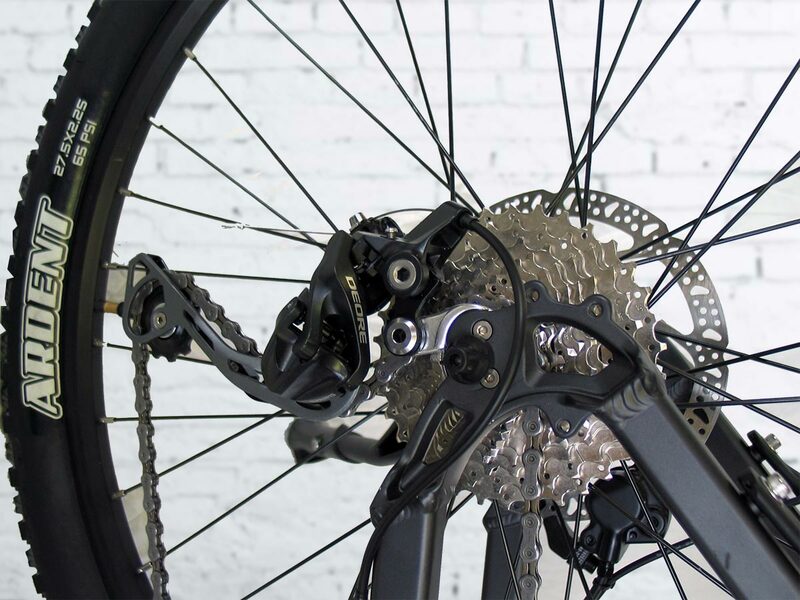 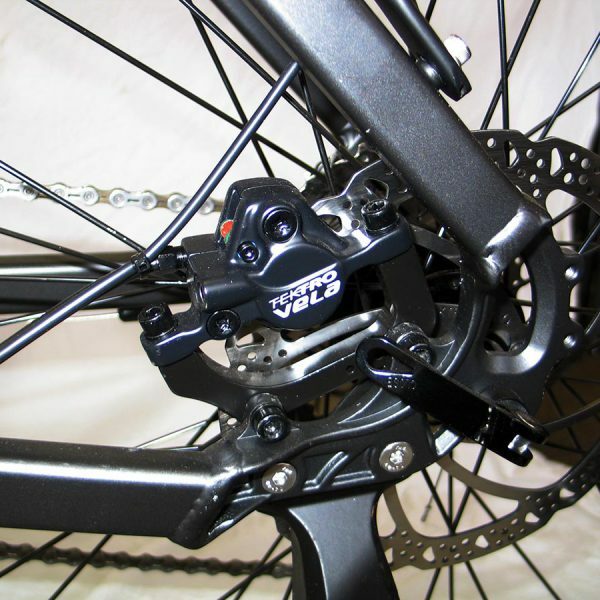 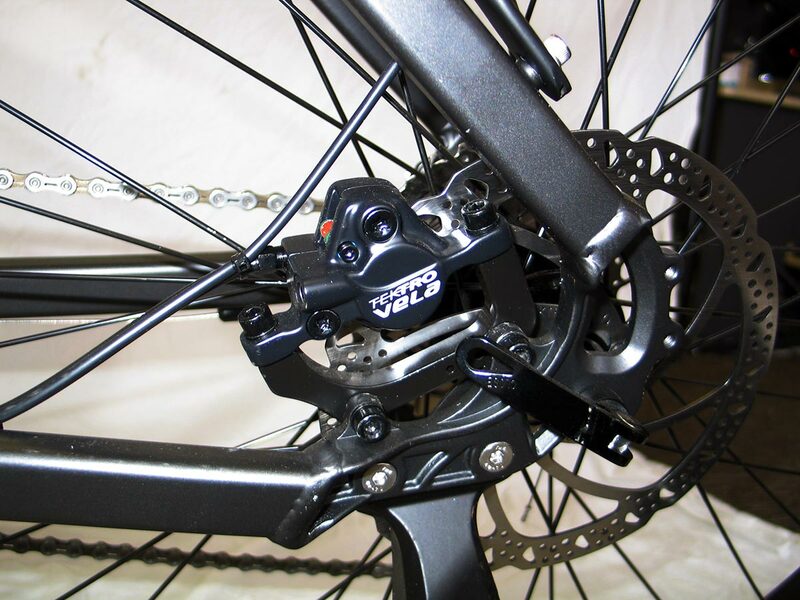 Brakes: Tektro Hydraulic Disc Brakes, 180mm rotors. 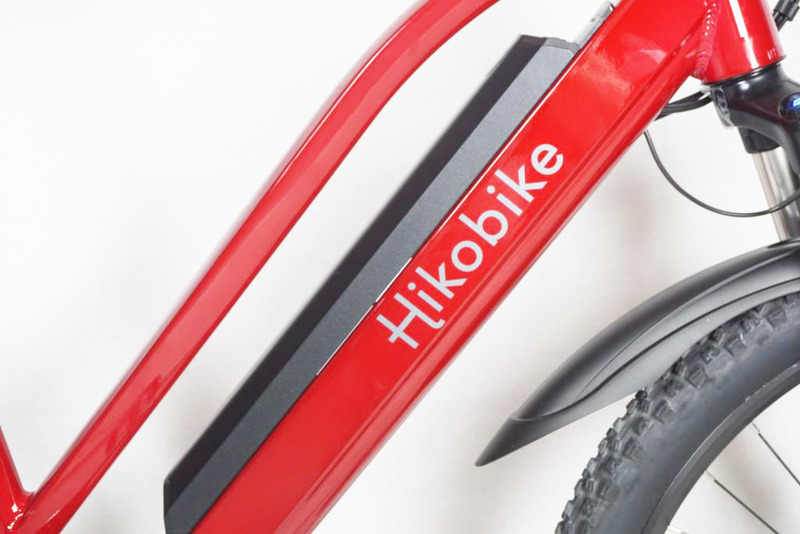 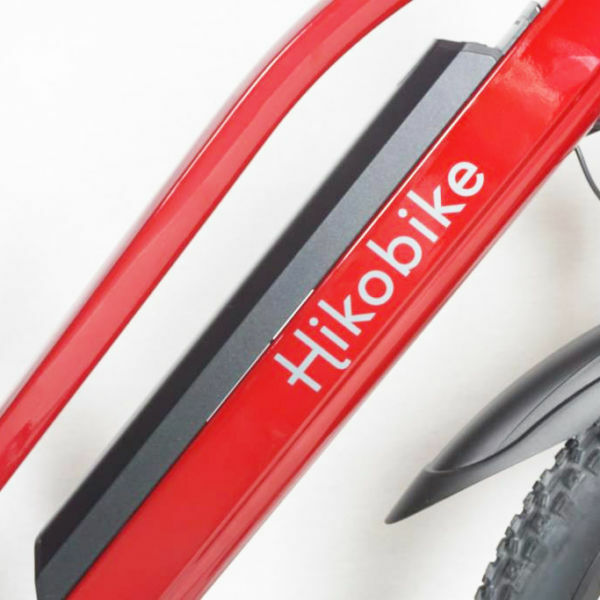 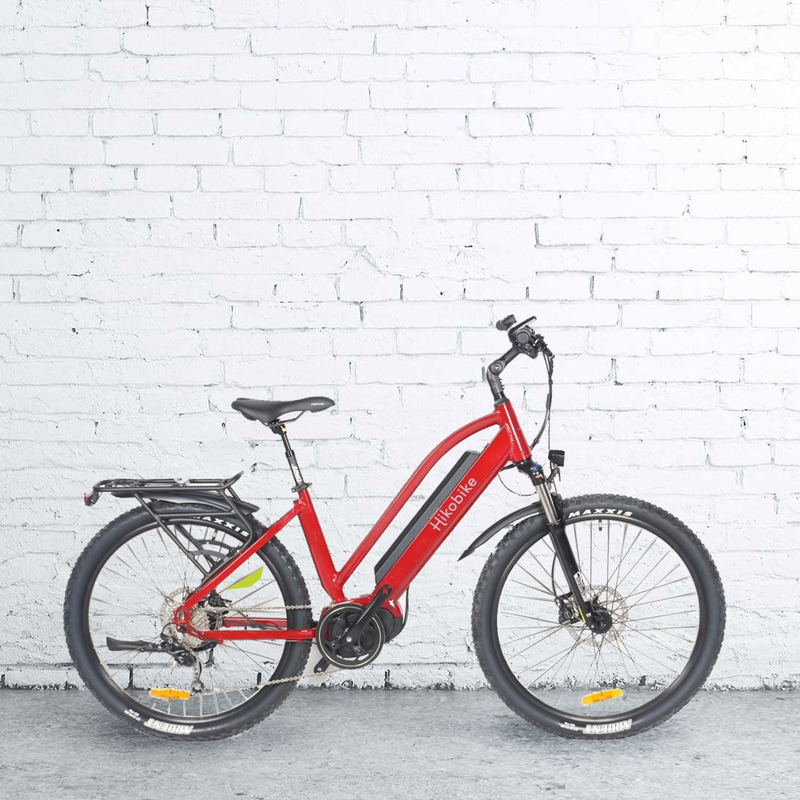 The Hikobike Rangler electric bike is a fast commuter bike for weekdays, and also designed for extended bike trail rides on the weekends. 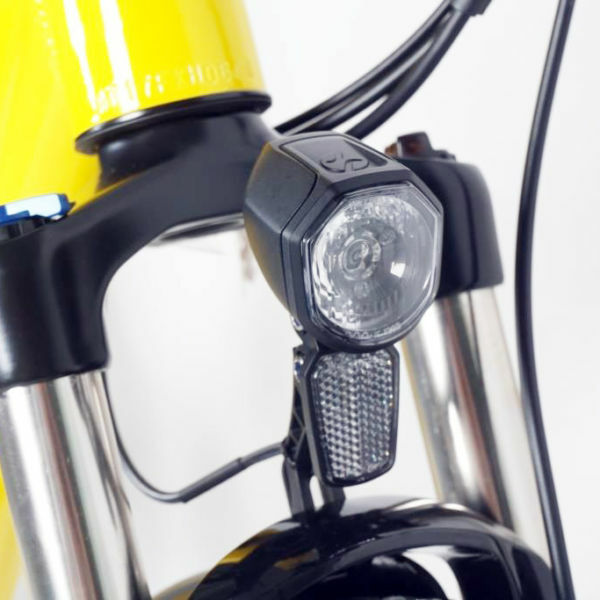 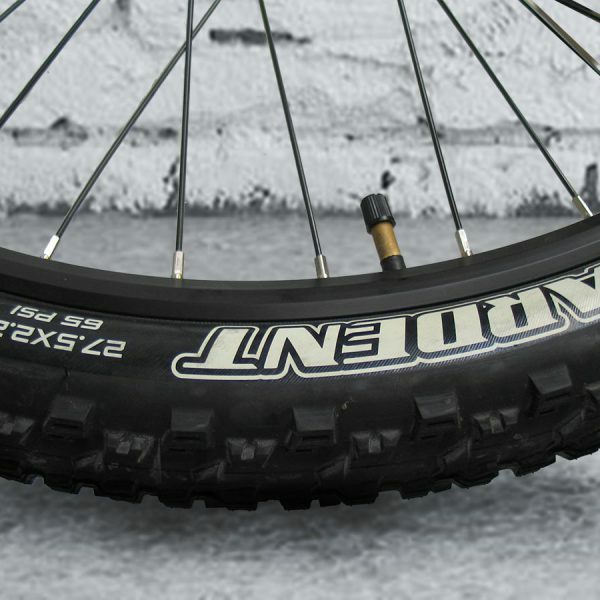 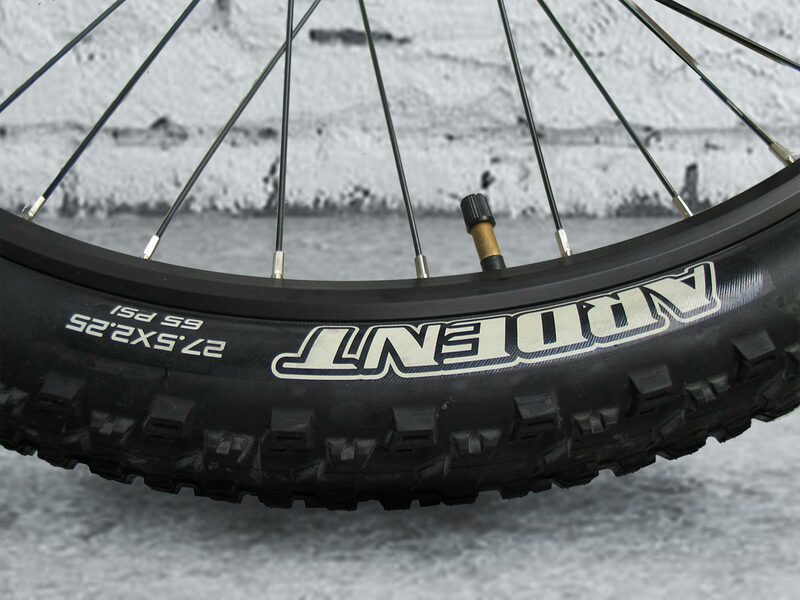 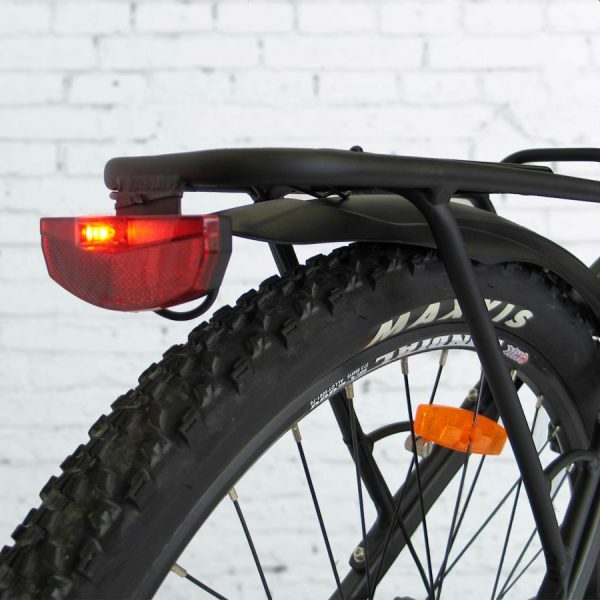 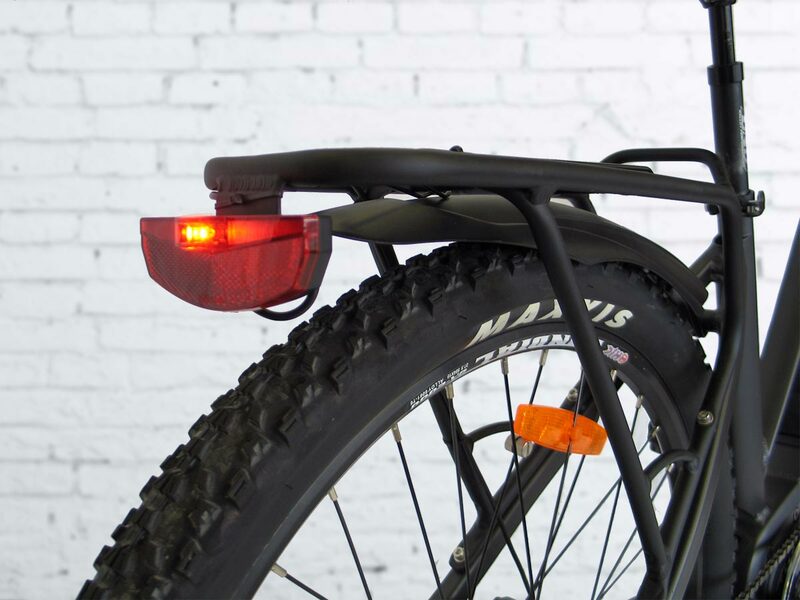 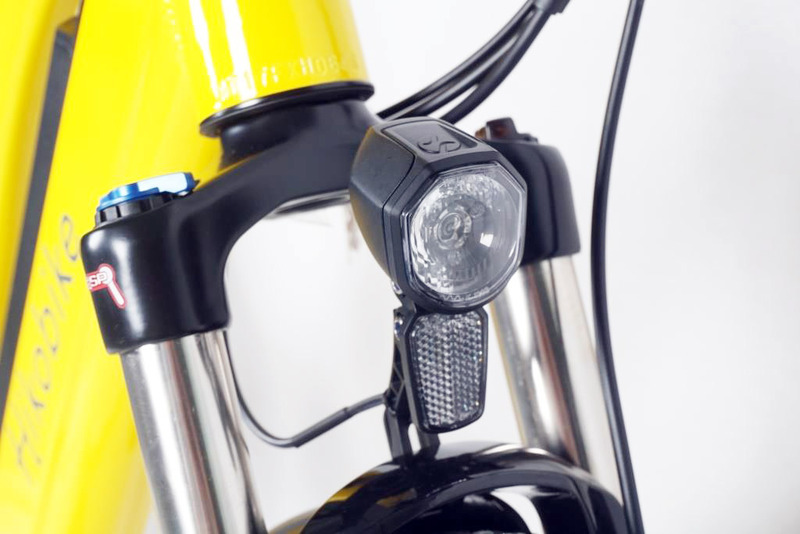 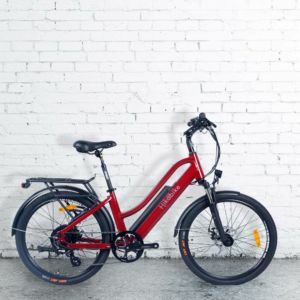 Ideal for long rail trail rides. 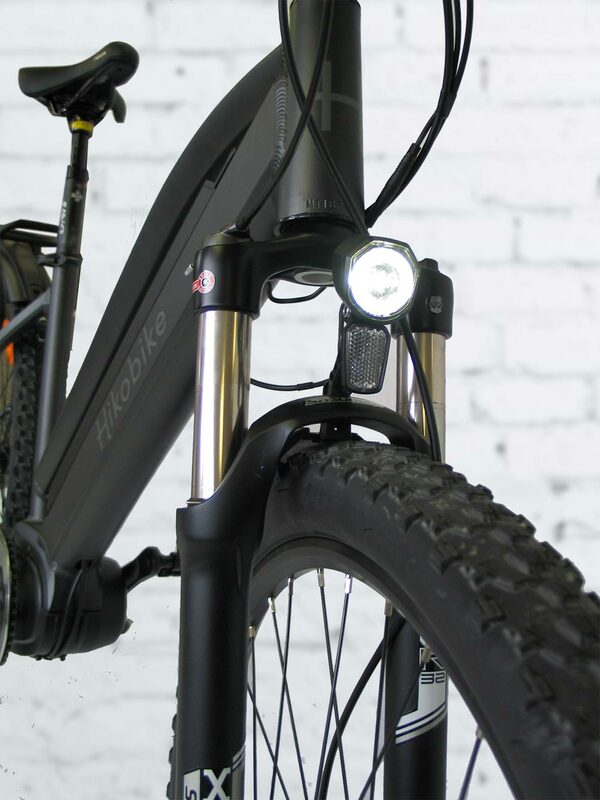 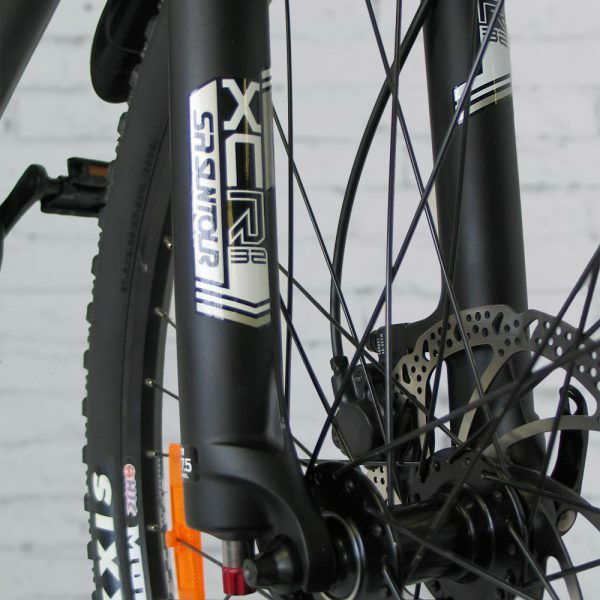 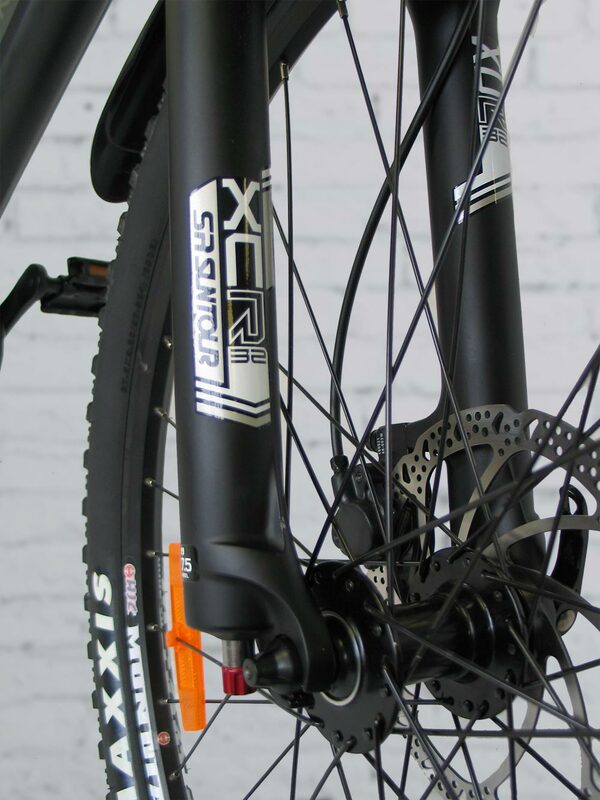 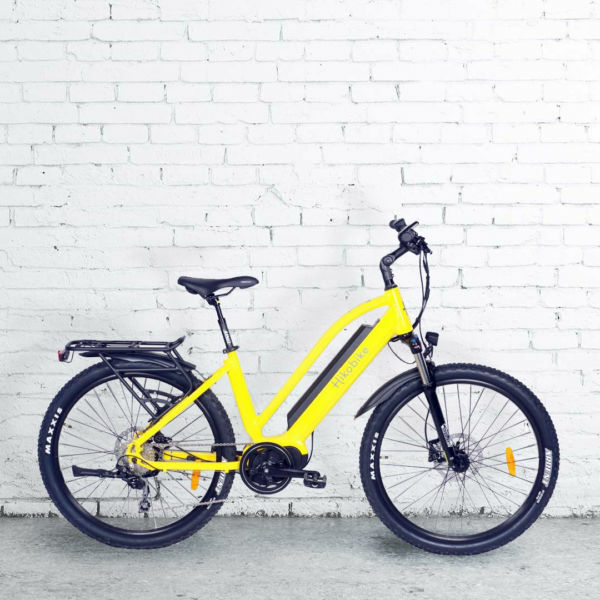 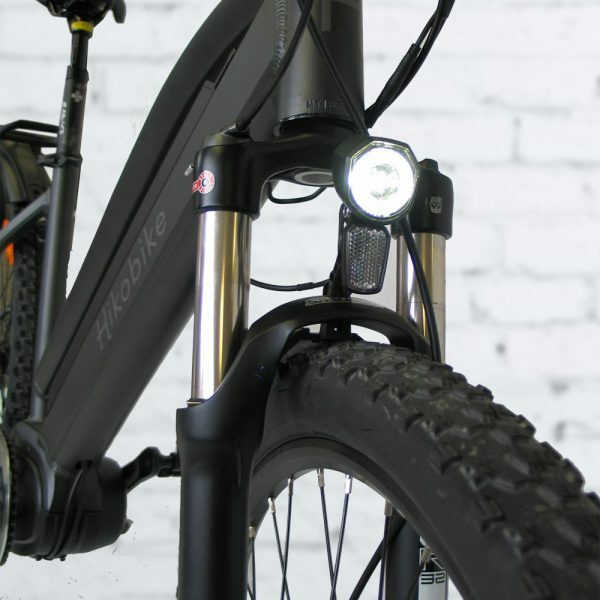 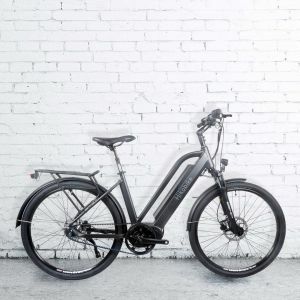 This ebike has large 27.5”wheels with MAXXIS Ardent 2.25”tires, hydraulic brakes and XCR 32mm, 100mm Shock, which makes this electric bike able to withstand fast riding and soak up the bumps in and out of the city. 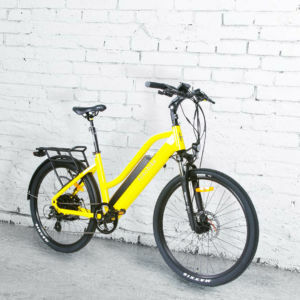 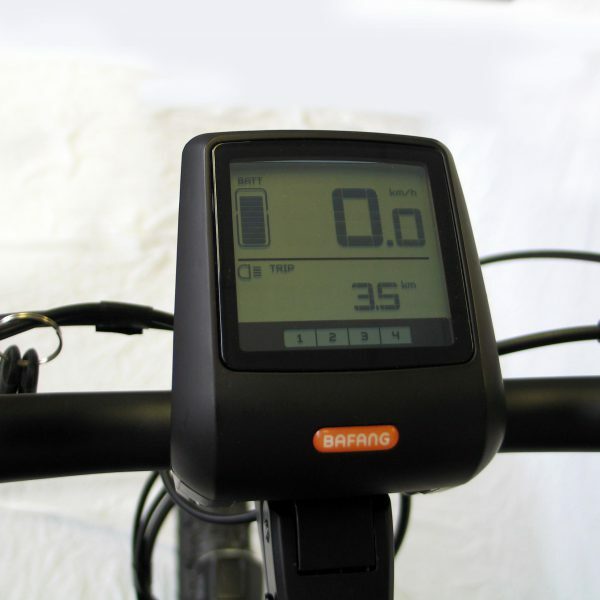 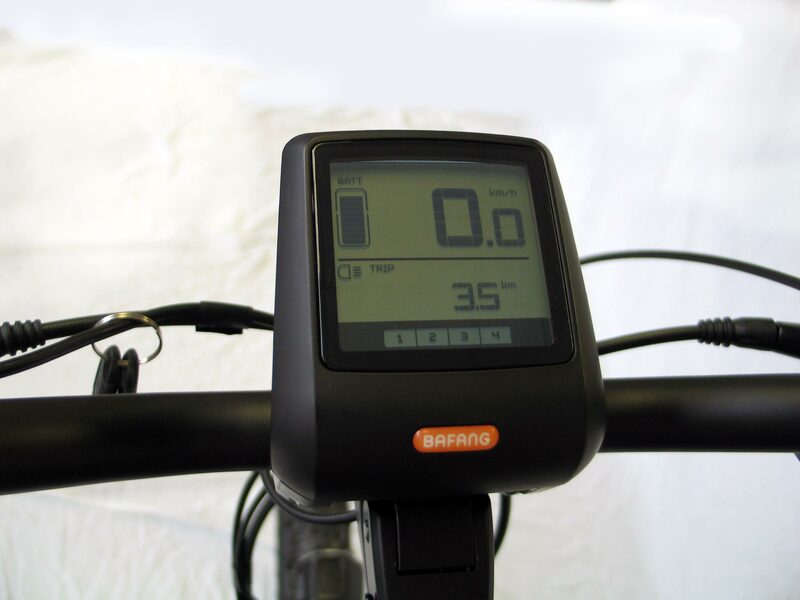 A great ebike for all round use. Available in grey, red and yellow.